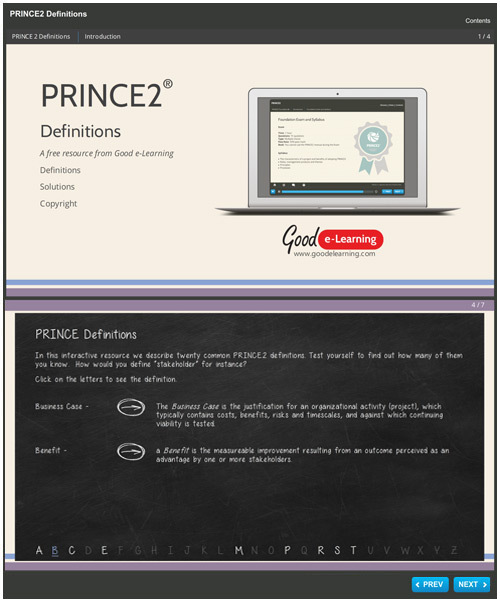 In this interactive study resource, we describe twenty common PRINCE2 definitions. Test yourself to find out how many of them you know. How would you define a "stakeholder" for instance? Great as a cheat-sheet for referring back to, even if you are already certified!